November 16, 2017: LTI is featured in the HfS Blueprint Report 2017 for its expertise in the Energy Operations segment. Assessment was based on the evaluation of 13 service providers of energy operations services, across 2 main categories – Innovation & Execution. 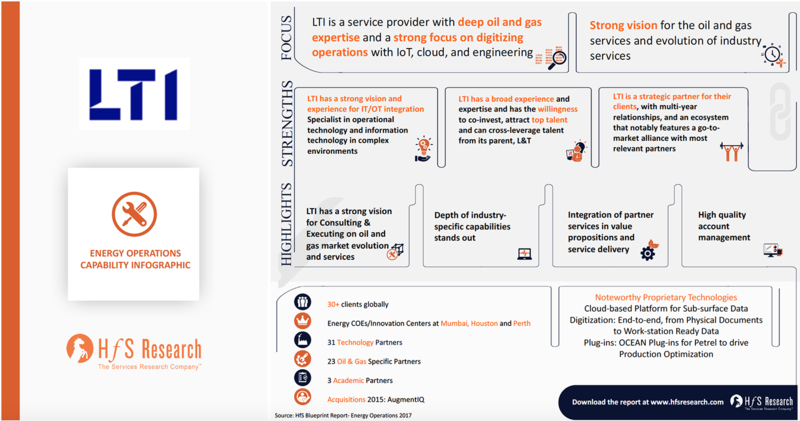 LTI’s mention was primarily attributed to the organization’s deep Oil & Gas expertise, along with a strong focus on digitizing operations with its IoT, Cloud and Engineering capabilities. Other important factors considered were LTI’s mature value chain services, providing its clients end-to-end solutions across the entirety of their Energy Operations processes. Moreover, the organization’s noteworthy proprietary technologies, including PRIME Plant – LTI’s predictive maintenance and knowledge management solution – added to its impressive portfolio of delivering holistic services and solutions to its clients. The organization’s potential of being a strong IT/OT integration partner; its broad industry experience, coupled with a proactive approach & willingness to invest in product development, solutions & client relationships; along with a strong talent pool of passionate innovators; makes it a desired partner of choice for clients globally. Talking about LTI’s mention in the report, Derk Erbé, Research Vice President, HfS Research, said “LTI has a deep Oil and Gas expertise, and a strong focus on digitizing operations with IoT, cloud, and engineering. 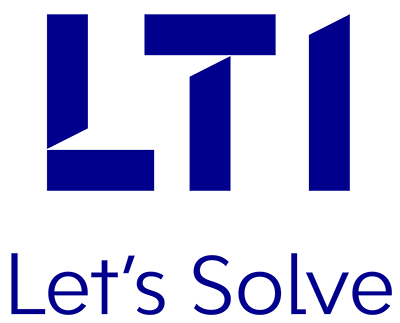 IT/OT integration is a big imperative in the industry and LTI, as a subsidiary of an engineering, manufacturing and construction conglomerate, is a specialist in operational technology and information technology, in complex, industrial environments. LTI’s willingness to co-invest and put skin in the game in project development, joint solutions and in relationships, make them a strategic partner to their clients”. LTI’s standing is testimony to the organization’s strengthening position in the Energy sector. With its innovative Digital & Engineering offerings, LTI is well on its way toward becoming the market leader in the Energy segment.